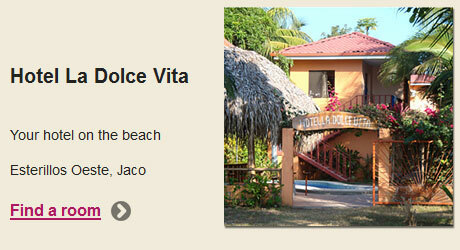 The hotel La Dolce Vita is located on the beach in Esterillos Oeste, near Jaco, facing the shore of the Pacific Ocean. 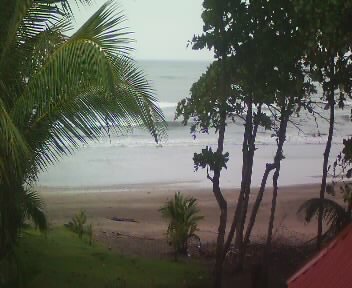 The beach of Esterillos is known for its natural beauty, its surf waves that appeal surfers from all over the world and for the presence of wonderful tropical birds. The Hotel has seven apartments facing a wonderful garden and swimming pool. Each apartment has patio/deck, terrazzo-balcony and is smartly furnished, bathroom with hot water, air conditioning, fan, kitchen, fridge, a bedroom with double bed and a living room with kitchen complete of a fully equipped stove, a sofa-bed, Satellite TV, Wi-fi. 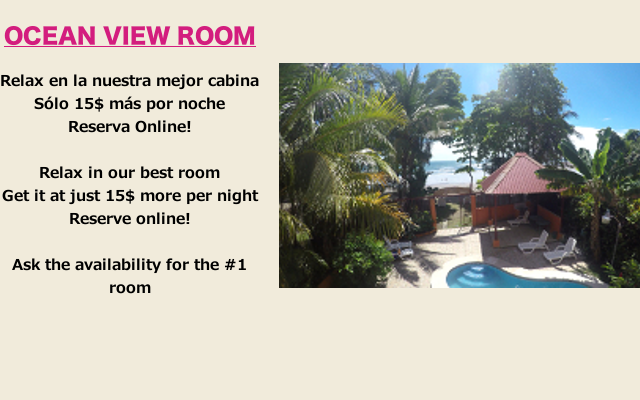 If you love to surf in the Pacifico Ocean, walk on the wonderful beach of Esterillos Oeste, enjoy the adventure tours and nature then, with its rooms on the beach, La Dolce Vita is your hotel in the sun of Costa Rica. 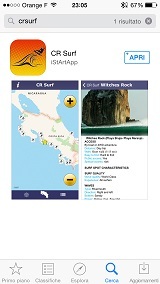 Please download the new free app for surfing in Costa Rica CR Surf, with a description of 39 surf spots, including their weather forecast.